Global warming is a constantly growing problem. But do you know what causes global warming? Greenhouse gas is the number one cause of global warming, and there are quite a few gases that fall into the category. Everyone knows about carbon dioxide, but can you name the others. Here, you will find all the information you need about greenhouse gases, where they come from, and what we can do to reduce our emissions. First off, what are greenhouse gases? According to Dictionary.com, a greenhouse gas is “any of the gases whose absorption of solar radiation is responsible for the greenhouse effect.” In other words, they are gases in the atmosphere that absorb and emit radiation. Whenever people think of greenhouse gas, they automatically think they are bad. Well, they are only half right. Greenhouse gases are necessary for the Earth, as they maintain a average temperature of 15 degrees celsius, or 59 degrees fahrenheit. Without these gases in our atmosphere, the temperature of the surface of Earth would be about -18 degrees celsius, or 0 degrees fahrenheit. However, as it is with basically all things, to much of a good thing can make it a bad thing. Too much sugar gives you diabetes, too much alcohol gives you a serious hangover (among other things), too much greenhouse gases in the atmosphere gives us global warming. The Earth has everything it needs to keep the balance. Plants and trees absorb carbon dioxide and release oxygen. The ground and other systems use nitrogen. Earth has various systems in place to deal with a certain amount of greenhouse gases. While greenhouse gases do occur naturally, it is man who has created insane amounts. Obviously, it is far too much for the natural systems to deal with. So that gas gets trapped in the atmosphere with nowhere else to go. There are a few compounds that fall into the category of being a greenhouse gas. 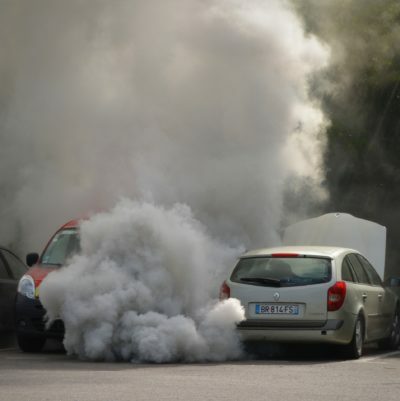 The actual gaseous compounds that fall into this category are carbon dioxide, methane, nitrous oxide, and fluorinated gases. However there are other compounds that contribute to the greenhouse effect like ozone and water vapor. Here is the most notable gas and the largest contributor to pollution in general. The natural sources include volcanic eruptions, respiration from organic matter in natural ecosystems (humans, animals) natural fires, and exchange of dissolved CO2 in oceans. However, the man made sources are the reasons carbon emissions have gotten out of hand. These sources include fossil fuel combustion (largest source), deforestation, solid waste, and as a result of certain chemical reactions (manufacturing of cement). CO2 is responsible for 82% of greenhouse gas emissions. The study of the greenhouse effect first started in 1896, so this isn’t exactly new. However, more and more people are only becoming aware of this now because of updates in technology that have showed us the results of our actions and what could happen to the Earth if we continue unchanged. Basically, the Earth is one giant greenhouse. An actual greenhouse is made of glass that people use to grow plants and various other vegetables and fruits. The reason they stay warm year round is because when the sunlight shines through the walls and roof, it creates heat inside the building. However, because of the glass the heat is unable to escape and the building continues to warm. Same works for our Earth, only instead of glass we have gases like the ozone layer of the earth. About 30% of the radiation striking Earth is reflected back out to space by clouds, ice and other reflective surfaces. The rest of the 70% is absorbed by the oceans, land and atmosphere. The gases in the atmosphere absorb a certain amount and maintain a livable temperature for most living things on Earth. The reason we are seeing global warming is because of an increase in the greenhouse effect. Normally, 30% of the radiation would be reflected back out to space. However, due to the increase of greenhouse gases in the atmosphere, some the radiation that would have escaped is trapped and absorbed by the gases. That radiation then builds and starts to warm up the rest of the Earth. The ozone layer of the Earth is extremely important. It is partially responsible for the greenhouse effect but was meant to be the original greenhouse gas. 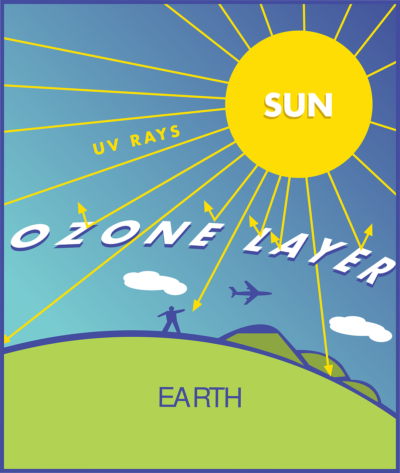 The ozone also lessens the amount of UV radiation that the Earth receives. However, due to certain compounds like chlorofluorocarbons, the ozone is becoming less and less effective. This means that more radiation is being sent to the surface of Earth, which also means more heat. The global warming potential was created so scientists could compare the impacts that different gases had. More specifically, it is a measure of how much energy the emissions of 1 ton of a gas will absorb over a given period of time, relative to the emissions of 1 ton of carbon dioxide. Making carbon dioxide the base for the measurements because it remains in the atmosphere for an extremely long time. CO2 emissions cause increases in atmospheric concentrations of the same gas that will last thousands of years. The larger the GWP, the more that a given gas warms the Earth compared to CO2 over the given time. The standard time frame used in many measurements is 100 years. 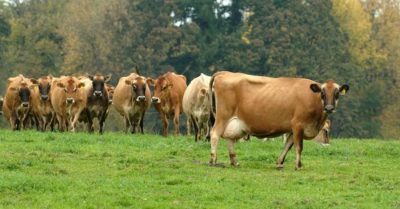 Methane has a GWP of 28-36 over the standard 100 years. The average lifespan of this gas is about a decade. Which is much less than CO2. However, methane can absorb much more energy than CO2. Nitrous Oxide has a GWP of 265-298. This is because any N2O that is emitted today remains in the atmosphere for more than 100 years. Fluorinated gases are often called high GWP gases because they can trap much more heat for their amount of mass than CO2. Therefore, the GWP can be in the thousands to tens of thousands. The highest is Sulfur Hexafluoride with a GWP of 23,500. There has been an increased awareness coming to greenhouse gases and their effects on the Earth. Research is constantly being updated about what is going on. Here are some general facts about greenhouse gases that everyone should know. Of course, petroleum is the largest fossil fuel source for energy related carbon dioxide emissions, making up about 42% in total. It is followed by coal at 36%, and natural gas at 21%. Total US carbon emissions are about 20% or more of the total world emissions. Each mile of commercial air travel produces about half a pound of carbon dioxide per person. For example, each passenger on a one way flight from Denver to San Francisco is responsible for about 608 pounds of carbon emissions. Almost 20 pounds of carbon are emitted when burning a gallon of gas. A standard late-model, mid-sized sedan could produce about 9,500 pounds of carbon dioxide each year. A hybrid car could produce about 4,300 pounds. Preserving an acre of forest in the U.S. can keep more than 260,000 pounds of carbon out of the atmosphere. Every ton of waste that is recycled keeps the equivalent of more than 6,500 pounds of carbon out of the atmosphere. The average U.S. household puts out about 35,000 pounds of carbon and other gases each year. If humans continue going on our present course with greenhouse gases, we could see a lot of catastrophic effects on our Earth. Greenhouse gas levels have been steadily increasing since the start of the Industrial Revolution. However it has grown substantially in the last few decades. Also has the rise in temperature, extreme weather and a lot of other global warming effects….go figure. Total greenhouse gas emissions have increased by about 80% since 1970. 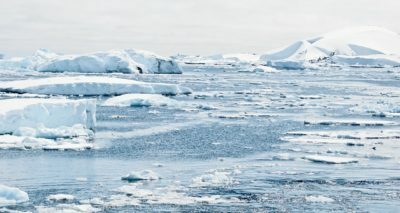 Due to this increase, the global surface temperature has also increased by 0.75 degrees Celsius, or 1.4 degrees Fahrenheit. That may not seem like a lot but the effects state otherwise. If this continues, we will see further increase in global temperature. Some of the additional effects we could see are: desertification, more melting of snow and ice, sea level rise, and stronger storms and other extreme weather. So the question becomes, what can we do? Well, the road has already begun. Chlorofluorocarbons are banned from aerosols, which is great for the ozone. But for the regular person, there is actually a lot you can do. The ways to prevent and avoid greenhouse gas emissions are simple, to an extent. Recycling is a great way to not only prevent the production of carbon dioxide, but also prevent solid waste from further pollution our lands and waters. When new materials are made using recycled material, it gets rid of the need of brand new and raw materials, meaning less extraction processes. Renewable energy is another incredible way to immensely lower greenhouse gas emissions. Solar energy and wind power are by far the most promising methods of incorporating sustainable and renewable energy in your home or neighborhood. In addition, many government entities offer reimbursements and incentives like tax cuts for installing solar panels on your home. Oh, it also cuts your electric bill by like, a lot. Since cars are the #1 source for carbon dioxide emissions, maybe try buying a much more fuel efficient car, or even an electric one. It can also save you a lot of money at the pump. Overall, there is a lot we can do to help reduce global warming and the emission of greenhouse gases. But it started with us, so it is only fair that it should end with us. Do your best to lower your emissions in your own home. Switch to LED lightbulbs, keep an eye on how much electricity you are using every day, recycle, walk more than you drive or take public transit or even ride a bike, I hear exercise is good for you. Do your part to save this Earth. Do not just sit by and hope things will get better. Or worse, ignore the signs.